A good sale between Phoenix and Chicago. 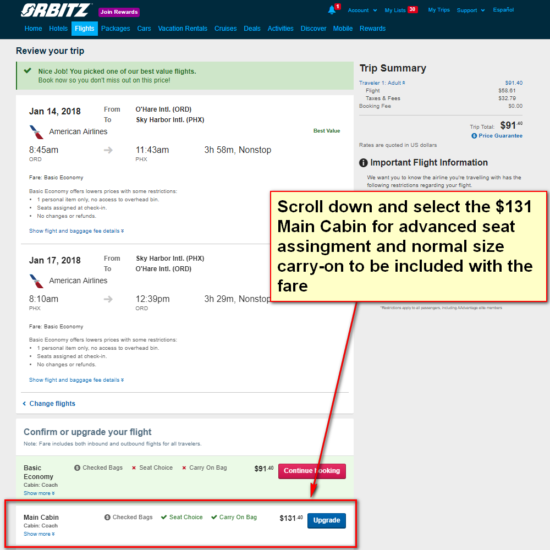 The $131 fare is the regular fare which allows for normal size carry-on and personal item in addition to advanced seat assignment. American also have a $91 fare but that is a Basic Economy fare. American Basic Economy fares do not allow for any advanced seat assignment. Rather, your seat assignment will be randomly assigned during check-in. In addition, normal size carry-on that does not fit under the seat is charge a $25 fee each way (but free if you have an American co-branded credit card or if you have American elite status). 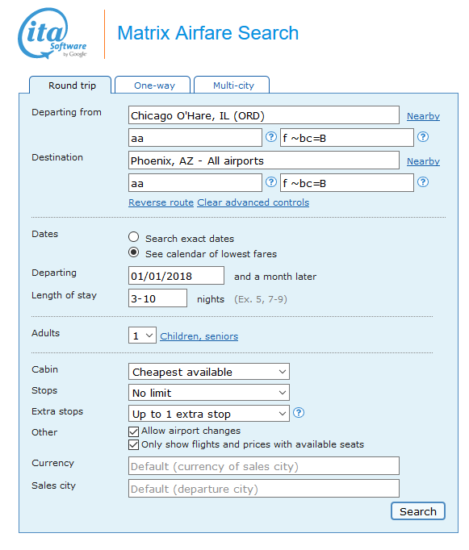 United have a lower price Basic Economy fare with the same restrictions as American’s Basic Economy fare, however, its regular fare is $158 roundtrip. 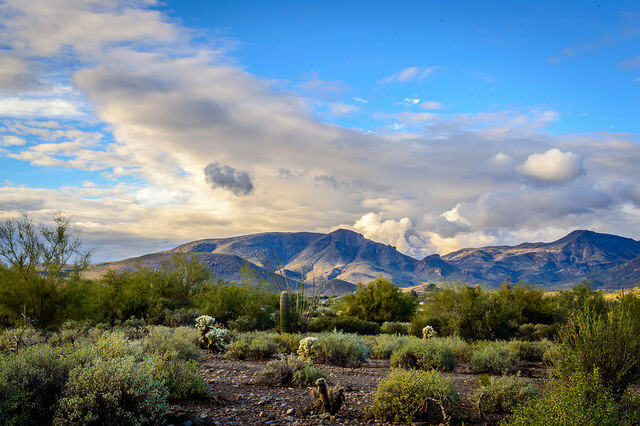 Here are some practical travel tips to Phoenix, Arizona. Support us by using our Orbitz link to book with dates found on ITA Software Matrix Airfare Search. Select the $91 Basic Economy fare and you’ll have the ability to upgrade to the $131 regular economy fare.